Sporting Life.ca is an online lifestyle store with items and accessories for men, women and kids. The items available include fashion, swim,. golf, skate and surf, running wear, tennis wear, outdoor, sandals, casuals, hiking, cycle shoes, soccer shoes and so much more. Get 20%-50% off Men’s, Women’s & Children’s Selected Styles Snowboardwear. Some exclusions apply. 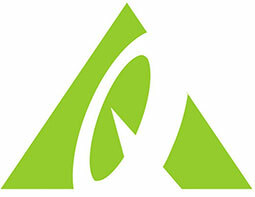 Get 30% Off Arcteryx Selected Styles. Prices as marked. While Supplies Last. Buy One, Get One 50% off selected Swimwear . Get 20% Off Adult Skis, Bindings & Boots. Excludes competition equipment, Soloman S/Lab Shift bindings and additional exclusions. Get 20%-40% off Men’s, Women’s & Children’s Selected Styles Outerwear. Some exclusions apply. End Of Summer Flash Sale! Get 50% off Summer Jackets, Shirts, Shorts, Tanks, T-Shirts, Dresses & Swimwear. Extended Black Friday Event! Get 20% Off Original Price Fjallraven Men’s & Women’s Select Styles. Includes All bags. Excludes Kanken and more exclusions. Get up to 50% Off Select Footwear for Men, Women & Children. Excludes Blundstones, Ferragamo and additional exclusions. Get Free Ground Shipping on all orders over $99. Get 20%-50% Off original price Designer Coats, select styles. Get up to 70% Off Designer Footwear, Selected Styles from rag & bone, New Yorkm, Kenzo, Vince & more.